​Located on South Carolina's Atlantic Ocean coast, Myrtle Beach is part of the Grand Strand, consisting of 60 miles of beaches. Myrtle Beach has been a vacation resort on the ocean for many years and hosts one of the country's tallest ferris wheels, the SkyWheel. Myrtle Beach, South Carolina is home to exciting attractions for everyone, exquisite dining, thrilling water sports, first-class live entertainment and of course, sixty miles of beautiful, sandy beaches. Over 14 million visitors come to Myrtle Beach every year. 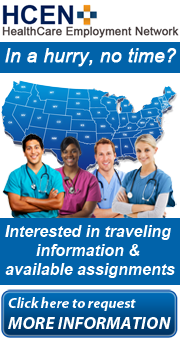 There are many major medical facilities located in this beautiful area that are looking for travel nurses and healthcare professionals. As in most markets there are more jobs than there are nurses to fill them and travel nurses therefore are an important and integral part of the healthcare industry. Grand Strand Medical Center is one of the largest hospitals in Myrtle Beach and there are other hospitals and facilities in the vicinity as well. Many jobs are available now in this area. 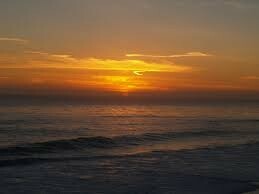 The weather is temperate in Myrtle Beach, being located on the Atlantic Ocean. In December temperatures have been moderate, mostly above 60 in the daytime and dropping into the 40's and 50's in the evenings with a few colder evenings. Summers can be hot but normally there is a breeze off the ocean. Moderate temperatures can be expected most of the time. Myrtle Beach has been listed as one of the top 20 cities to visit as a Travel Nurse. Is it time to start planning your adventure to the sunny beaches of Myrtle Beach, South Carolina? Click here if you would like us to help you get started on your adventure. 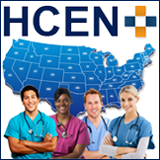 Merry Christmas and Happy Holidays from HCEN!